The Chevy Colorado ZR2 launches at dealerships this spring. 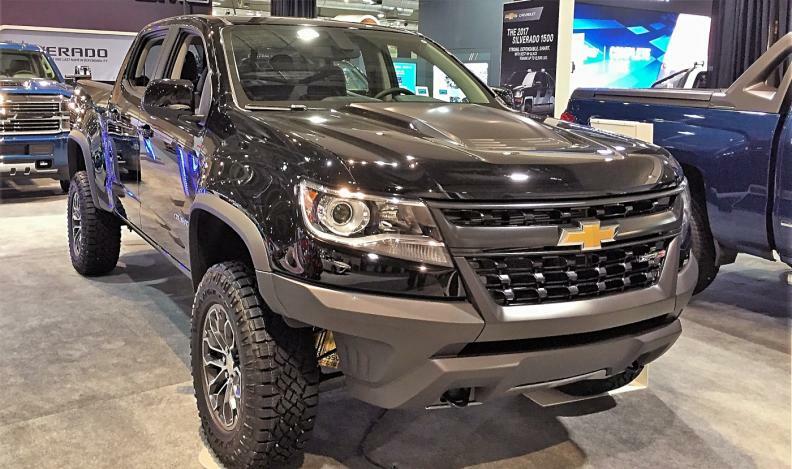 General Motors of Canada chose to introduce the mid-size 2017 Chevy Colorado ZR2 pickup at the Calgary International Auto and Truck Show in Calgary for a reason: It's in the heart of Canada's truck country. Purpose-built for taking on the back country, ZR2 is the first off-road vehicle to make use of the Canadian-developed Multimatic DSSV damper system which first appeared in the 2014 Chevy Camaro Z/28. ZR2 launches at dealerships this spring at a starting price of MSRP $44,215. “It tops out $6,000 less than our nearest competitor (The Toyota Tacoma TRD Pro),” he said. Show Manager and Executive Director of the Calgary Motor Dealers Association, Jim Gillespie, said he’s pleased that GM recognizes the show’s importance in reaching truck customers. That’s not to say other manufacturers are ignoring the show. Lamborghini has flown in from Italy a brand new just-off-the-line Aventador just in time for the show. Concept and specialty vehicles are also on display, including the SEMA version of the Lexus LC 500, Acura’s Precision, the Buick Avista and Subaru’s VIZIV-7 concept SUV. 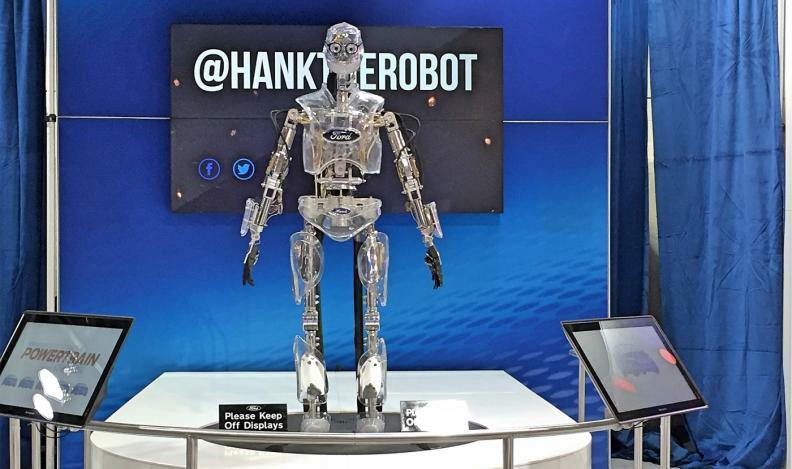 Hank the Robot is one of two humanoid robots at the Calgary auto show. Ford has brought its Canadian-built super car, the GT along with Hank the Robot, one of two humanoid robots at the show. The other is K2-SO from the movie Rogue One A Star Wars Story in the Nissan display. The Calgary International Auto and Truck Show runs March 15-19.